Idaho is a wonderful place for family vacations, particularly if you're looking for several days of recreation and relaxation. While all the recommendations below are worth visiting for a short weekend getaway, they are all extremely well-suited for extended vacations, when you really want to get away from it all. The recreation and activities available at these destinations can be enjoyed from a humble campsite or from a world-class resort hotel, making Idaho a viable choice for any budget. The Sun Valley resort community and the town of Ketchum combine to set the stage for an adventurous family vacation. Year-round recreation and awesome mountain scenery draw visitors from around the world. Downhill and cross-country skiing, ice skating, and snowmobiling are major wintertime activities. Summer brings the opportunity for golf, mountain biking, hiking, fishing, and river rafting. Sun Valley hosts special events and festivals throughout the year, giving you yet another reason to take the family. Sun Valley and Ketchum offer great hotels and lodging along with all the services to support vacationers, including dining, shopping, and entertainment. Located at the south end of Payette Lake, the small town of McCall is a great jumping off point for a family vacation centered around snow or water. Abundant snowfall makes McCall popular for winter sports enthusiasts; the McCall Winter Carnival celebrates all that snowy fun every year. 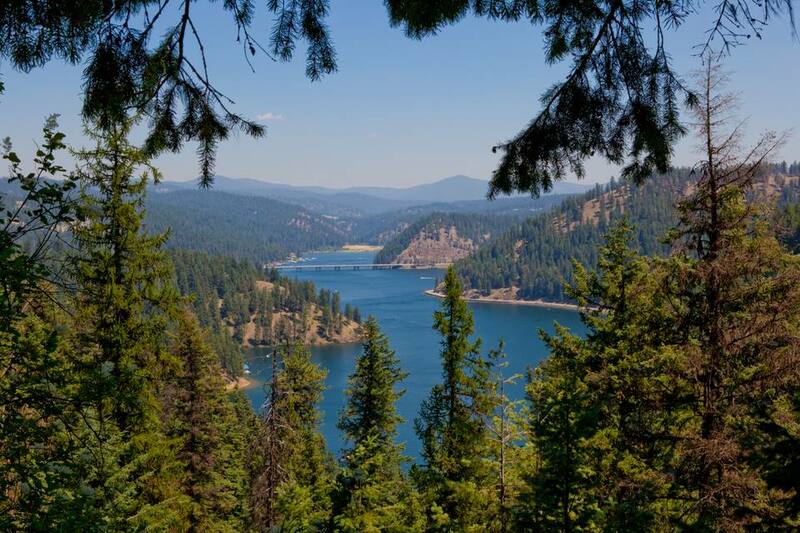 In the summer, enjoy whitewater rafting, paddling, and hiking, as well as all the fun that can be had on Payette Lake. McCall itself offers charming downtown shopping, an indoor ice rink, a marina, beach parks, and several golf courses. The Payette River Scenic Byway, Gold Fork Hot Springs, Tamarack Resort, and Hells Canyon are among the attractions that can be enjoyed on a day trip out of McCall. Fabulous parks, interesting culture, tasty food and drink, and access to abundant recreation make Boise a getaway town with something for every member of the family. Tops among the fun things to do in Boise are downtown's Julia Davis Park, which is actually a complex of indoor and outdoor attractions that includes the city's zoo and several museums. Touring Idaho's state capitol campus is another fun activity. Things to Do Around Bear Lake, the "Caribbean of the Rockies"